Romona Stout Babineaux was inducted into the Order of Living Legends by the Acadian Museum on August, 2004. Romona is very active in her community, church, parish and state activities. She performs over 1,000 volunteer hours per year. In her community of Erath, she has been a volunteer for the Acadian Museum since its inception, and on the Erath Community Building Committee since its inception as well. Babineaux serves on the Erath Fourth of July Board as a member and past officer, and has served as chairman of the Fourth of July Baby Contest for 40 years. In 1988, she was honored as the Grand Marshal of the Erath Fourth of July Parade. She has been a leader of Brownie and Girl Scout troups, and has served on the Vermilion ARC Board. After Hurricane Rita, she worked for six months at the distribution center in Erath. Babineaux has been a member of the Vermilion Family & Community for 37 years (VVFC) which is a non-profit organization of volunteers committed to strenghtening individuals, families and communities through education, leadership and action. Babineaux is parish and club president. She has won many awards and is also on the Louisiana VFC Board having gone to 21 National Conventions throughout the United States. 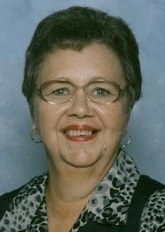 Babineaux serves as an extraordinary minister of Holy Communion and also gives communion to shut-ins for Our Lady of Lourdes Catholic Church in Erath. She has served on the church council and was co-chair for the Bishop's Service Appeal. She taught religion for over 29 years, was Regent for the Catholic Daughters and has been an active member for over thirty years. She serves on the Famille de Erath which is group of volunteers who help raise money for a new Church Hall. She has been married to Andrew Babineaux for 51 years and has two children, Marty Babineaux and Natalie B. Mouton, and has four grandchildem, Morgan and Matthew Babineaux and Leslie and Dennis Carl Mouton and one great-grandchild, Carter Guilbeau.